For as long as we can remember, Taco Tuesday has been a tradition for restaurants and bars serving the tasty Mexican dish. The day is celebrated from college campus to small town to office complexes on lunch breaks, despite the fact that it arrives every single week. From a marketing standpoint, Taco Tuesday has been a restaurant owner’s best friend. It drives hungry mobs of taco lovers to a night out simply because of a catchy alliteration. You might see #TacoTuesday on social media often. You’ll get the occasional message from a friend asking to participate in Taco Tuesday. In short, Tacos made Tuesdays popular. But where did this come from and why? According to The Strange History of Taco Tuesday, the promotional phrase was started in 1982 by a chain called Taco John’s based out of Cheyenne, Wyoming. In fact, Taco John’s placed a registered trademark on the phrase in 1989 to attach it to their brand. They filed a lawsuit against another restaurant chain after seeing that it was used, but the lawsuit resulted in bad press so they have stopped enforcing their trademark. They still use it as their brand’s signature, and rightfully so! Taco Tuesday has helped bring business to taco eateries on a night in which not many decide to go out to eat. 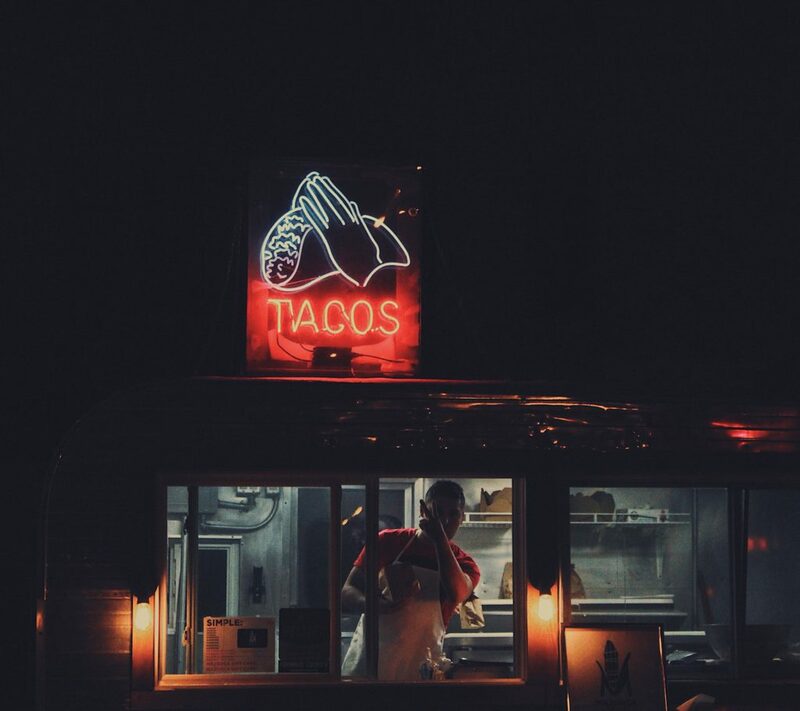 By using the phrase accompanied with a few promotions on tacos and/or drinks, Mexican restaurants can entice their target consumer base to enjoy a nice Tuesday night out for dinner. Usually, it isn’t just a taco deal that is indulged upon. This small ploy is used nationwide by many restaurants and it has driven highly successful results! Taco Tuesday, as mentioned before, is a phrase that you’ll see on social media often. It is one of the most popular hashtags (#TacoTuesday) on Twitter and Instagram. It is just a simple, catchy phrase that puts people in the mood for tacos! So why not use it? At Benny’s Tacos, we celebrate our Taco Tuesday with a promotion that you can redeem here. If you’ve never participated in a Taco Tuesday before, please come join us!